We’d love your help. 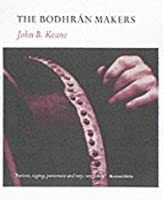 Let us know what’s wrong with this preview of The Bodhran Makers by John Brendan Keane. 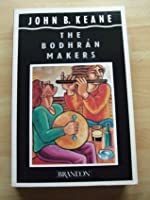 To ask other readers questions about The Bodhran Makers, please sign up. "This man coming up on stage here is either one of the most intelligent people in the history of the world or a damn uncontested fool. It is up to you to determine which is he." Interesting clash between tradition and church, poverty in 1950 Ireland. Great story about the drum. I quite enjoyed this tale of an Irish village where church and tradition are facing off. It was funny and tragic and full of Irish culture. John Keane is probably my favorite literary discovery of the past 15 years. He had a simple way of writing that reflected the lives of the rural country folk in Ireland. He captured small-town life exquisitely. If you've ever seen the movie "Waking Ned Devine" that is the best way to capture Keane's writing style. Simple, deceptively simple, but so, so rich in what it gives you. This is the story of a group of farmers who find themselves locked in a battle with their local priest. At heart they John Keane is probably my favorite literary discovery of the past 15 years. He had a simple way of writing that reflected the lives of the rural country folk in Ireland. He captured small-town life exquisitely. If you've ever seen the movie "Waking Ned Devine" that is the best way to capture Keane's writing style. Simple, deceptively simple, but so, so rich in what it gives you. This is the story of a group of farmers who find themselves locked in a battle with their local priest. At heart they all want to be devout Catholics, but at the same time, they cling to their old ways. The priest is unforgiving, and what ensues is a battle that is both comic and tragic. This is truly one of my favorite books! Unlike its name, very little time is spent discussing the building of a new bodhrán drum, yet the story within this book is an excellent read. It is a story of the people within a poor little village in Ireland, their daily trials and tribulations, and their age-old traditions that bring pleasure to the people, and the wrath of their controlling clergyman. The story is written in such a way that the reader becomes a member of the village, lives within the p This is truly one of my favorite books! Unlike its name, very little time is spent discussing the building of a new bodhrán drum, yet the story within this book is an excellent read. It is a story of the people within a poor little village in Ireland, their daily trials and tribulations, and their age-old traditions that bring pleasure to the people, and the wrath of their controlling clergyman. The story is written in such a way that the reader becomes a member of the village, lives within the poverty of the area, triumphs in the little victories, and loves so many of the characters within this book. Have read this book twice in my life and may yet shoot for another time. A great tale of Ireland in the early twentieth century. This is a great insight into life in the countryside, always poor, but people who knew how to have a good time. They also were very well versed in getting around the powers that be. This would make a great book, somewhat along the lines of Tight Little Island and Waking Ned Devine; except that reality plays a part. This was a a book club choice and my first (of many) John B Keane's. For some reason, I didn't expect to enjoy it, expecting it to be a bit too stage- Irishy but right from the beginning I was hooked. I loved how he wrote about the hardships of scraping an existence from the land, how he developed his characters and the relationships between them. Was really sorry when it ended. A bodhran (pronounced bough rawn) is an Irish musical instrument, which figures in this story of a small Irish village as the villagers prepare for their annual celebration of an old Irish festival. However, the village priest has outlawed this celebration and when the villagers go ahead without his approval, it starts a chain of events which leads to the breakup of the village. this is a sometimes harsh sometimes tender story about rural Ireland in the 50's. the story revolves around the tradition of the wrenboys and traditional irish music. It was sad to witness the struggles in the country to repress the old ways but delightful to read how some people hold on to traditions. I really liked this! It was a mix of humor and sadness, but overall a very thorough series of character examinations. Good characters in an inescapably dismal situation, but they make it work. I think it successfully skirted Irish caricaturism. It was a good read, especially around Christmas. Classic Keane. Insightful story about a dying rural culture clinging to the western edge of Europe. Hilarious and sad all at once. The final act of revenge by the town cad against a haughty lace curtain family was priceless. The last sentence brought tears to my eyes. This book helped me understand the culture and history of Ireland before we spent a day in Dublin. It was insightful, historical writing. Stellar story telling. Not actually about the making of drums, just about the people who insist on doing so despite interference from the Catholic church. Great characters and it really drew me in to small town Irish life. Loved this book. Keane brings you right into the characters lives and you can just see the scenery, hear the music, and smell the peat!